Sylvia Liu Land: Is my alien Brazilian? 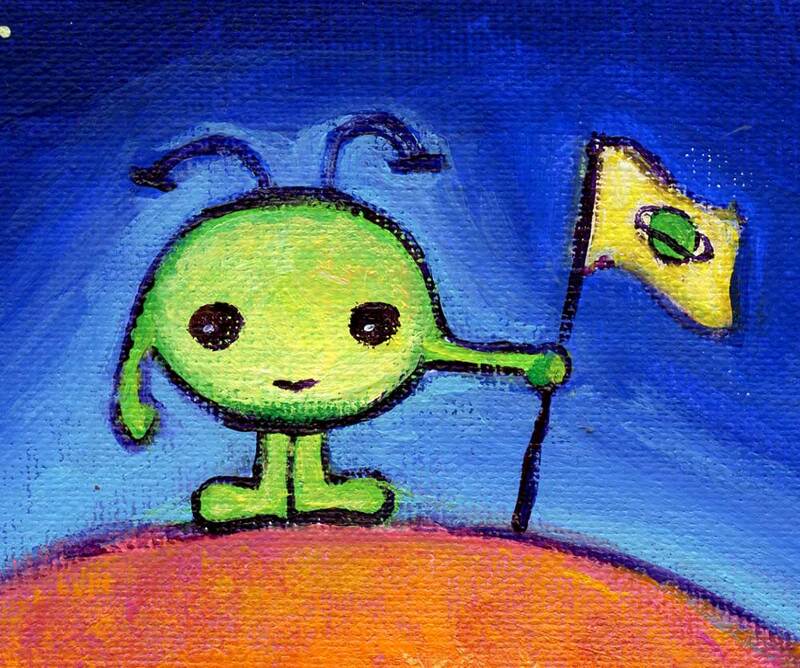 I've been working on some more alien paintings recently and just realized that Zippy's flag is somewhat similar to the Brazilian flag. My question: should I rethink the flag (maybe change the colors), or should I just create a backstory (Zippy's people and Brazilians are long lost relatives)?